Looking down into the gorge near Old Man’s Cave, Hocking Hills State Park, Ohio. March 10, 2014. 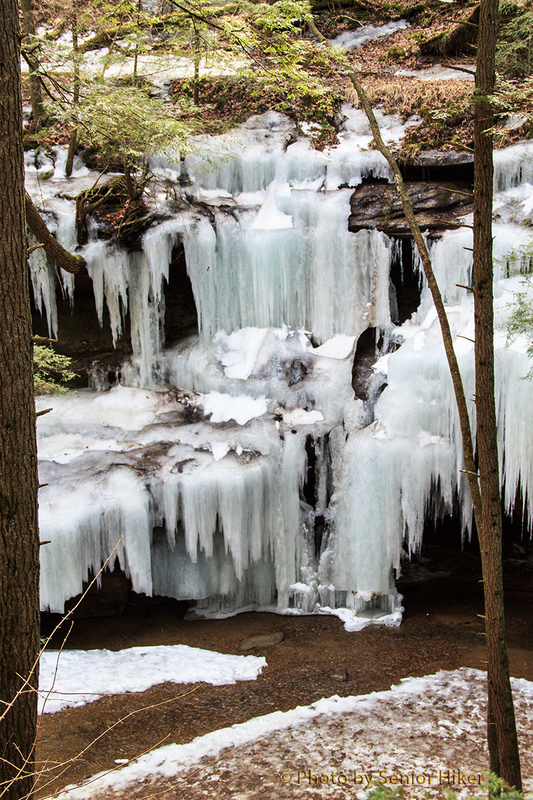 Ice along canyon walls, Hocking Hills State Park, Ohio. March 10, 2014. Old Man’s Cave is a recess cave in a gorge in Ohio’s Hocking Hills State Park. Betsy and I have been to the park a couple of times and have enjoyed hiking down to the cave. The park contains several waterfalls which had very little water when we visited before, so we went back there in early March hoping to find more flowing water. We found more water, but we also found a great deal of ice, which was unexpected. 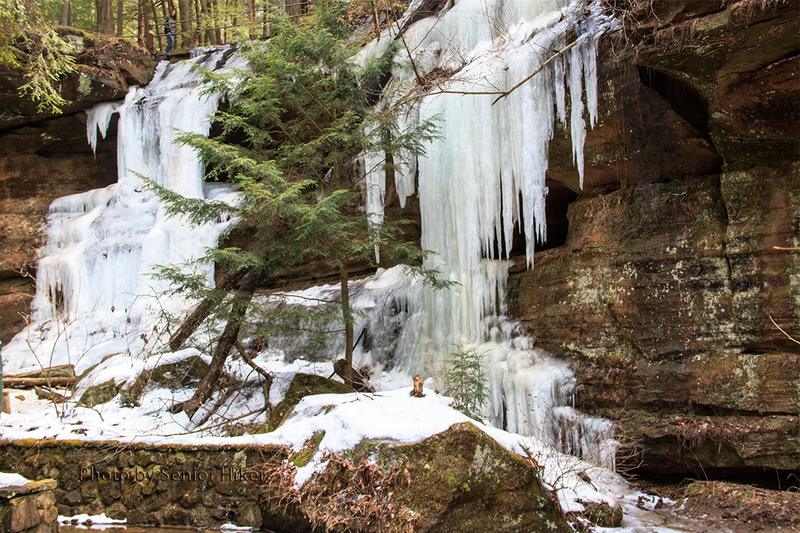 Ice along the walls of the gorge, Hocking Hills State Park. March 10, 2014. The walls of the gorge were covered in ice in many places, which was very beautiful but made it tricky to get down to the floor of the gorge. 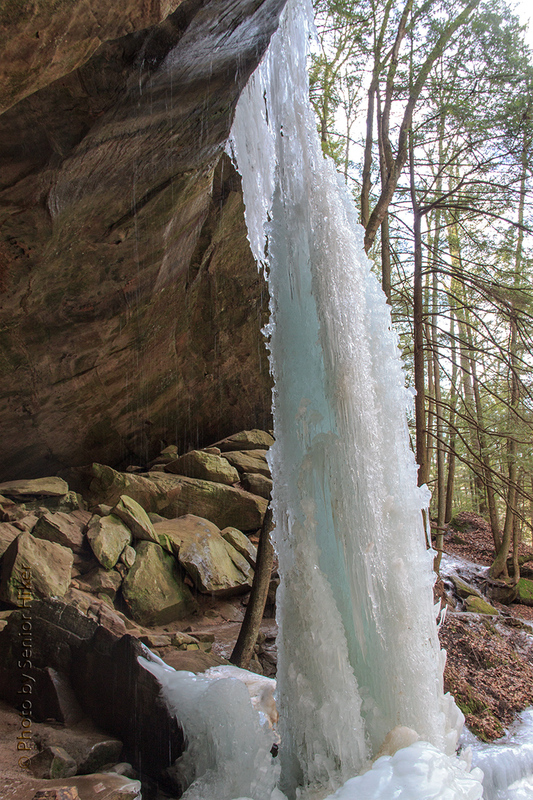 A column of ice near Old Man’s Cave, Hocking Hills State Park, Ohio. March 11, 2014. Once I got down to the floor of the gorge, it was fascinating to see the huge columns of ice reaching from an overhang to the base of the cliff. In the photo above you can even see some blue ice in the column. 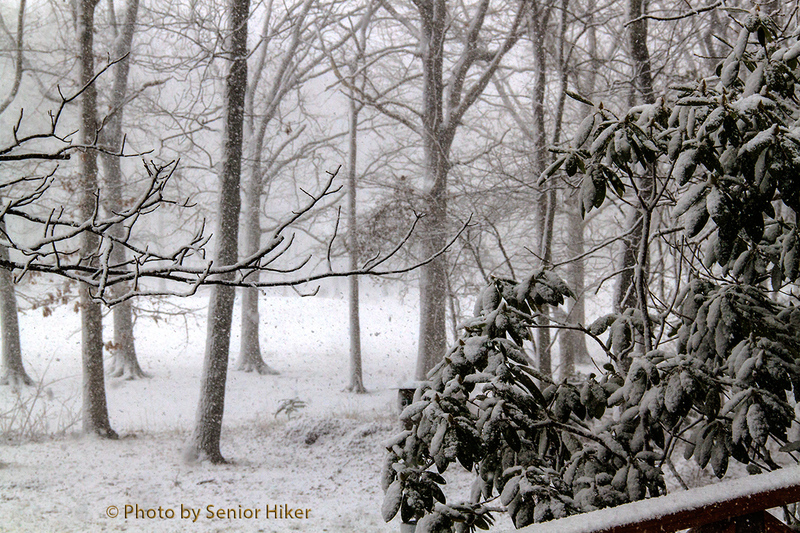 New-fallen snow on the fairway behind our house, Fairfield Glade, Tennessee. January 6, 2014. As most of you know, Betsy loves snow and never gets enough of it. (She obviously never had to trudge through a foot of the stuff in early morning darkness to milk the cows!). Well, she finally got some snow last week. 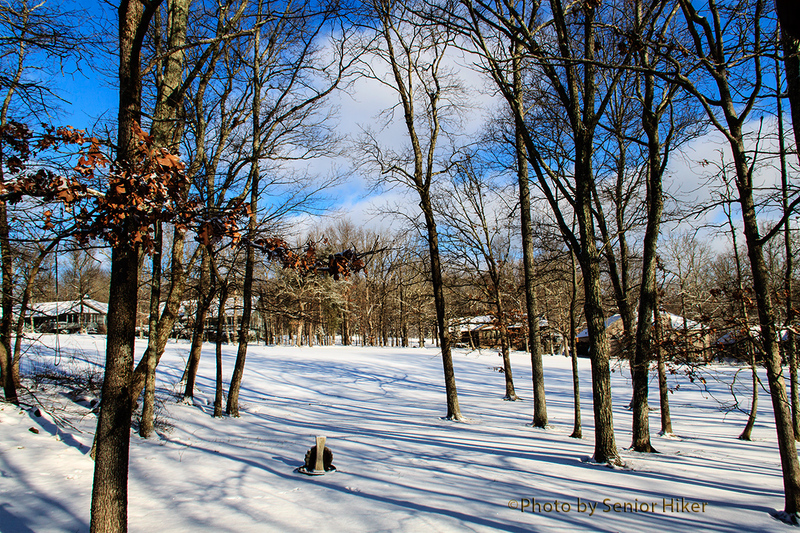 We didn’t get a lot of snow — maybe a couple of inches — but it did look pretty on the fairway behind our house. 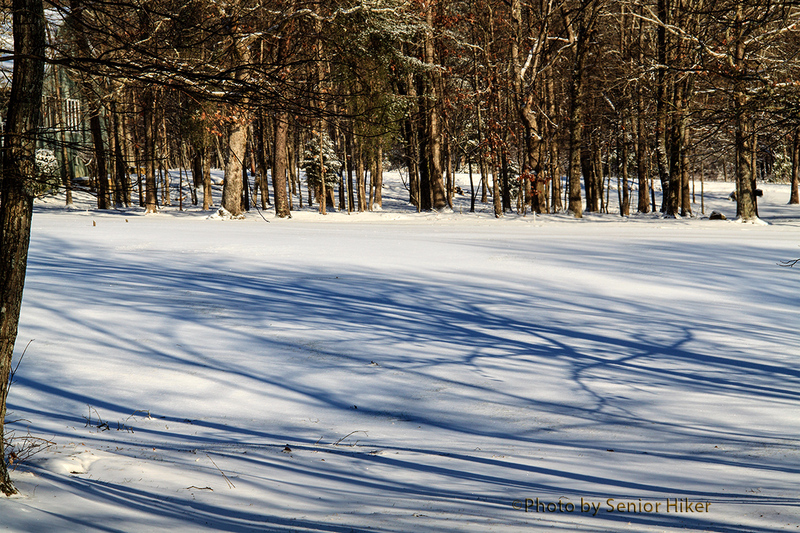 Shadows and snow on the fairway, Fairfield Glade, Tennessee. January 6, 2014. 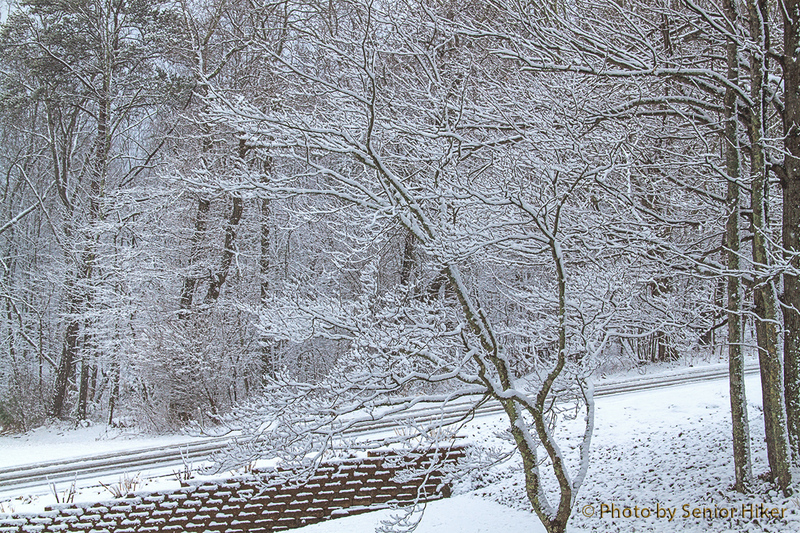 The bare trees made intricate shadows on the fresh snow. 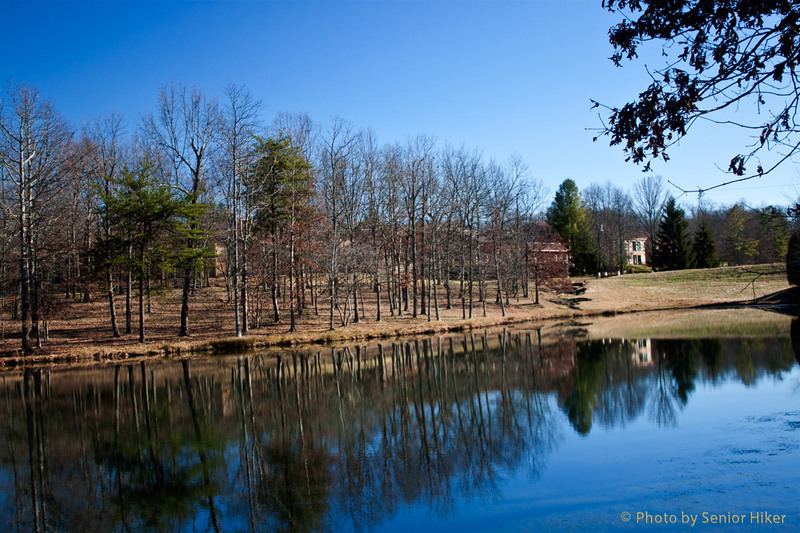 The view from our front porch, Fairfield Glade, Tennessee. January 6, 2014. There was very little traffic along the road in front of our house. 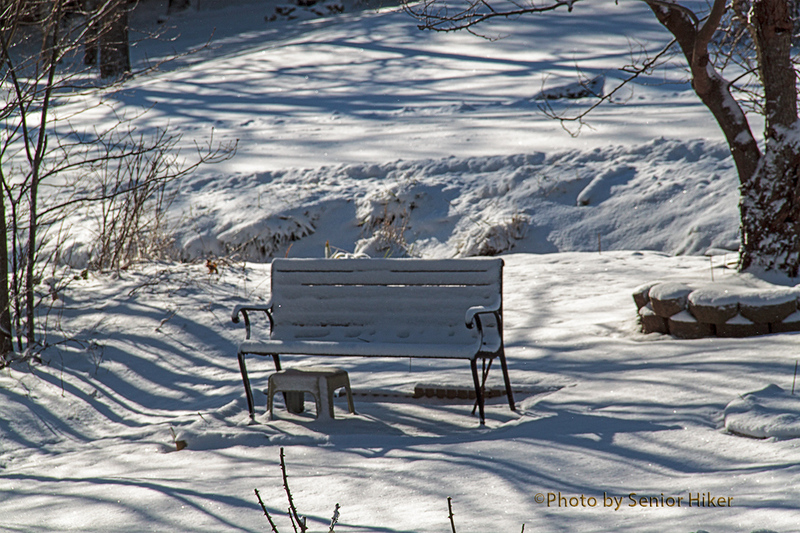 The cold and lonely bench in our front yard, Fairfield Glade, January 6, 2014. Since the coldest temperatures in more than twenty years accompanied the snow, no one was sitting on the bench in our front yard. 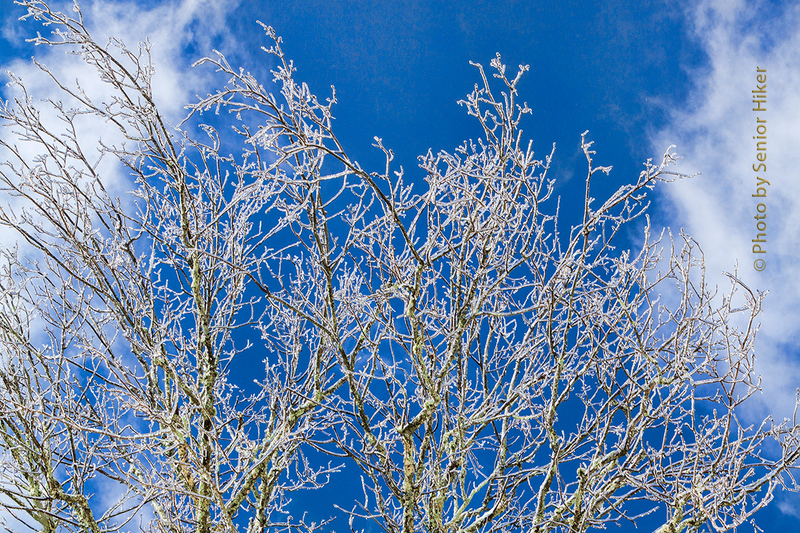 Icy tree branches on a beautiful winter day, Fairfield Glade, Tennessee. January 31, 2010. We’ve had a mild winter so far this year, and I’m not complaining, But I will admit that snow — and even ice — can be beautiful as long as I don’t have to drive in it. 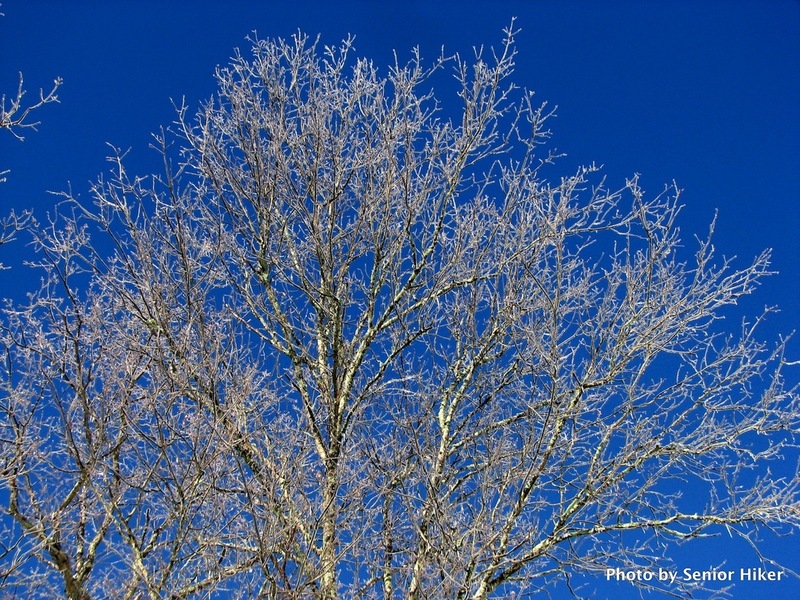 I took this picture in our yard a couple of years ago, and thing the icy branches look good against the blue sky. 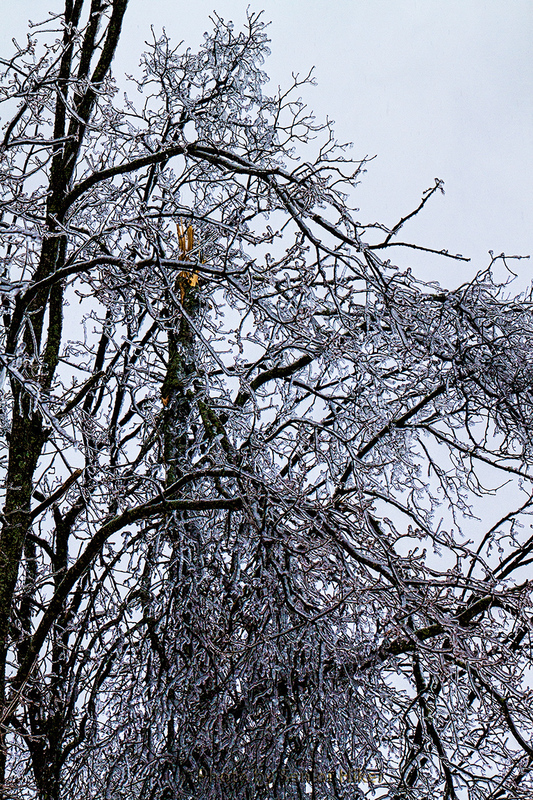 An ice-covered tree in our front yard, Fairfield Glade, Tennessee. January 31, 2010. 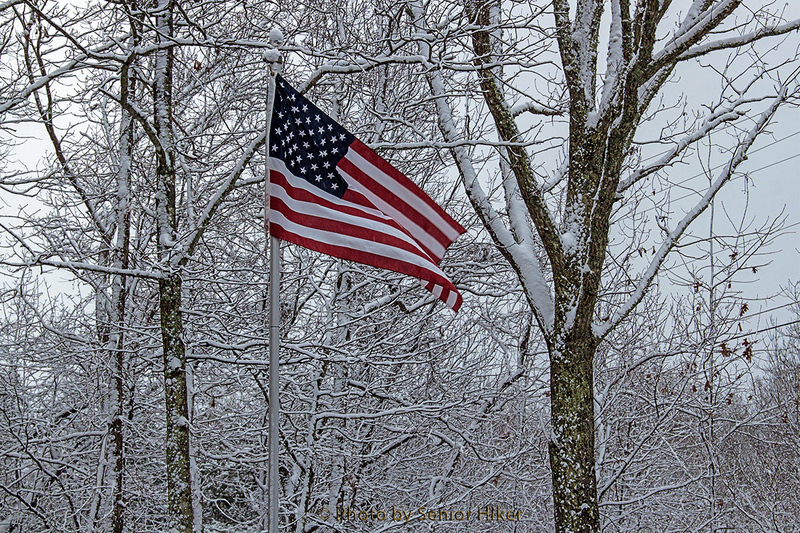 Winter is not my favorite season of the year (just ask Betsy), but I will admit that at times it can be quite beautiful. 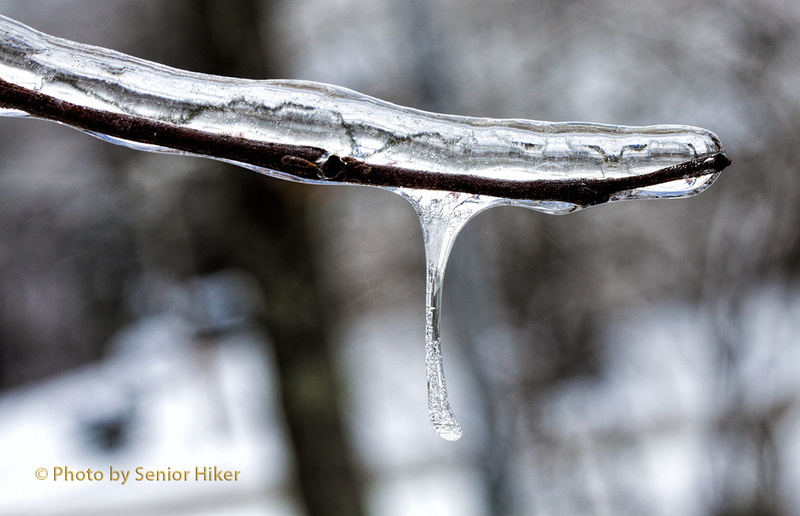 This picture was taken back in 2010, the day after an ice storm here on the Plateau. 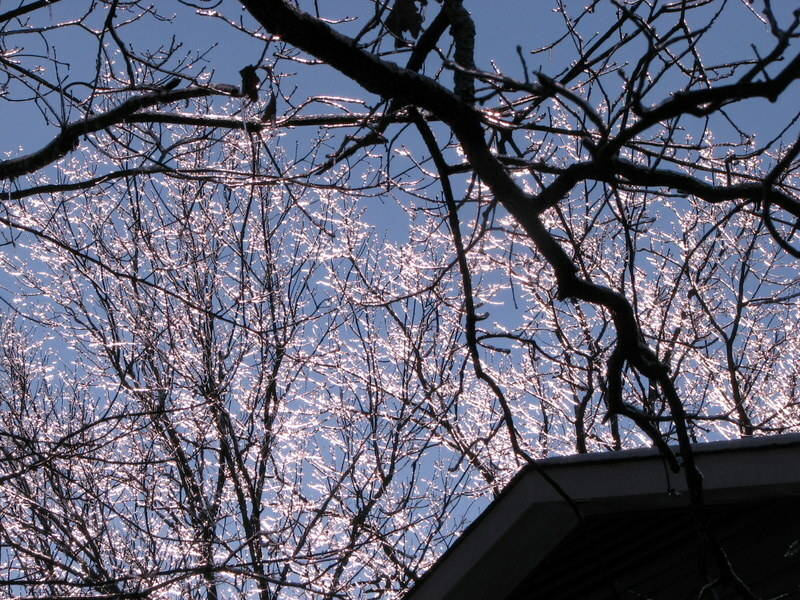 The sky was an unbelievable blue that beautifully set off the ice-covered branches of a tree in our front yard. Dry Falls, Highlands, North Carolina. December 12, 2009. 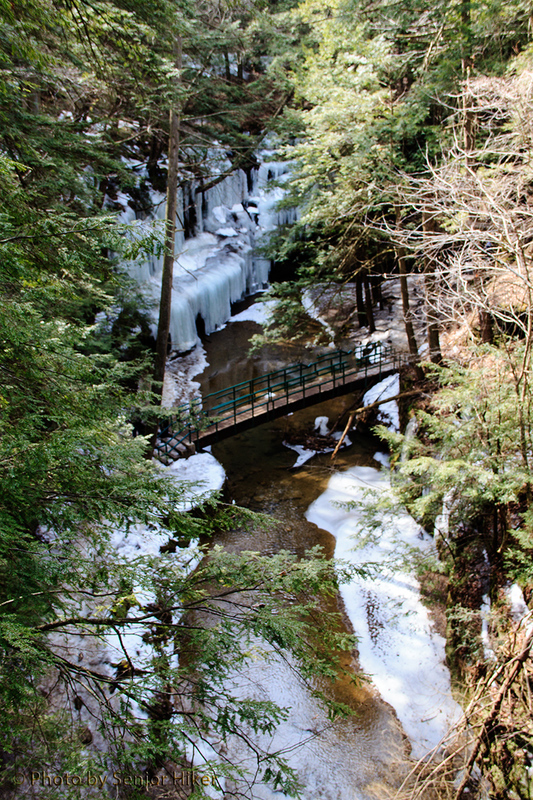 Betsy and I usually visit waterfalls in warm weather, but there are advantages to visiting a waterfall in cold weather. 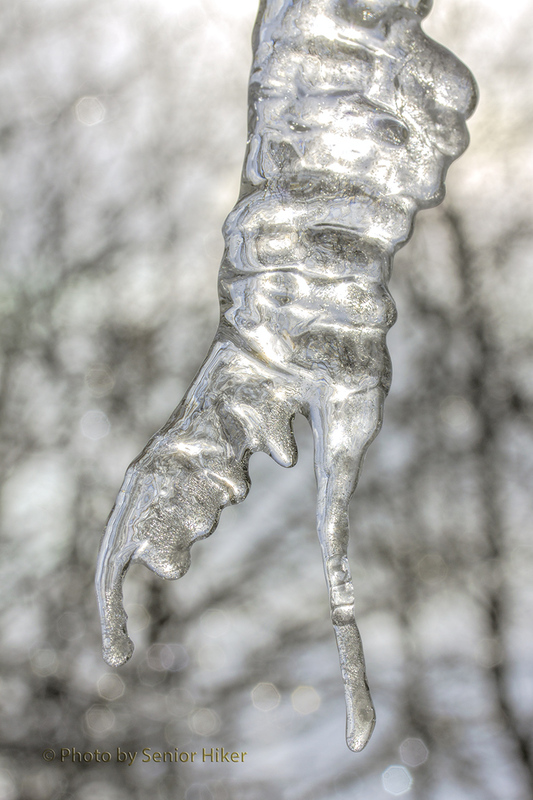 In addition to flowing water, it is often possible to see ice and icicles, which give additional elements to enjoy. This picture of Dry Falls was taken in December, 2009. 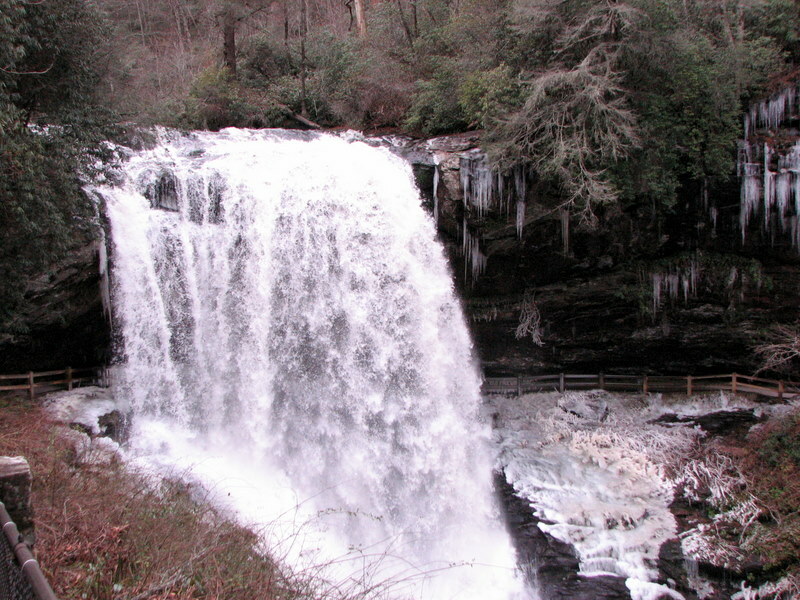 Dry Falls, near Highlands, North Carolina, can be seen from an observation deck fairly near the road. In warm weather it is possible to walk behind the waterfall, but the path was closed because of ice when we took this this picture. 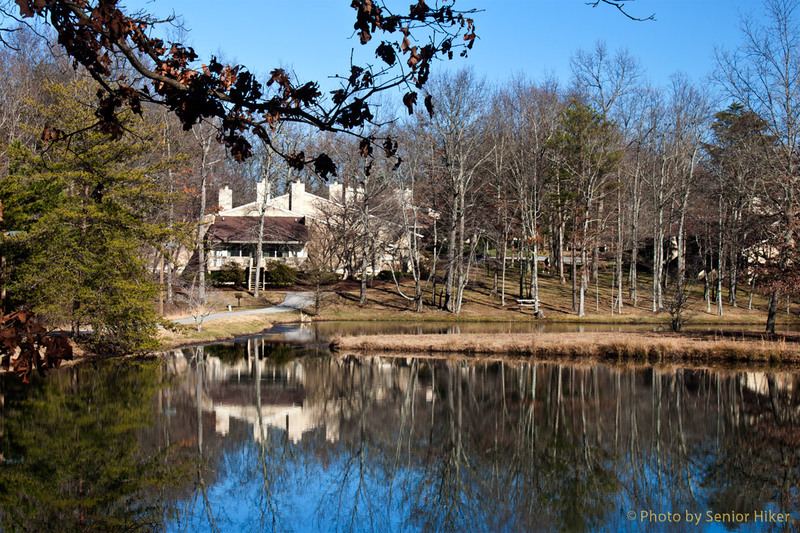 Our front yard, Fairfield Glade, Tennessee. December 7, 2011. If you know anything at all about Betsy, you know how much she loves snow. 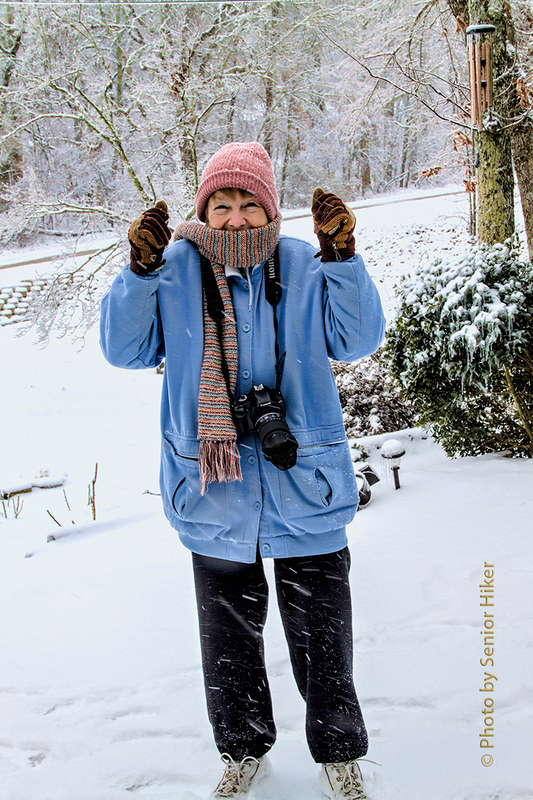 It snowed here in the Glade yesterday, and Betsy was in a very happy mood. She didn’t go out and build a snowman (we didn’t get that much snow), but she did get out to enjoy it. 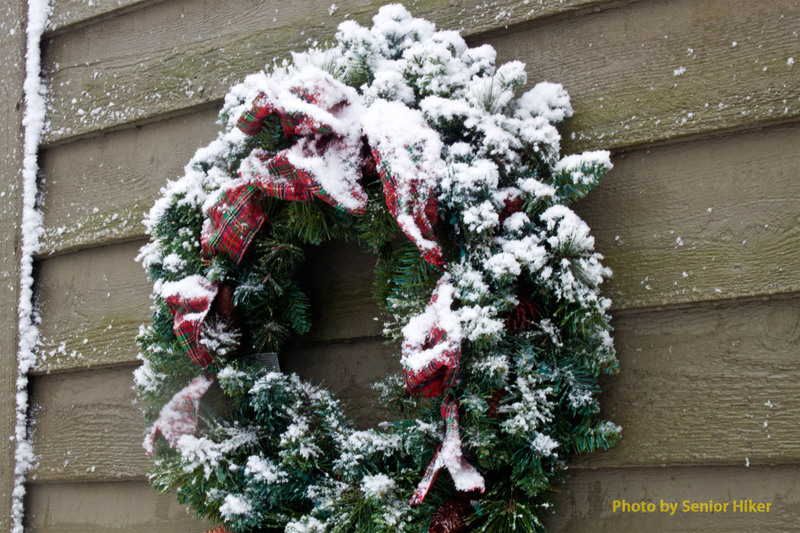 The wreath on our back deck, Fairfield Glade, Tennessee. December 7, 2011. 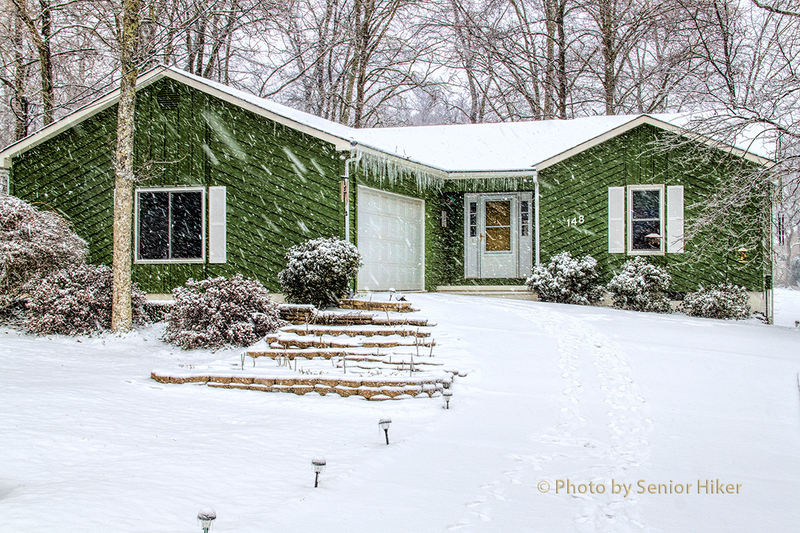 We had a wet snow that clung to just about everything. It was what Betsy calls a perfect snow. Trees in our yard, Fairfield Glade, Tennessee. December 7, 2011. 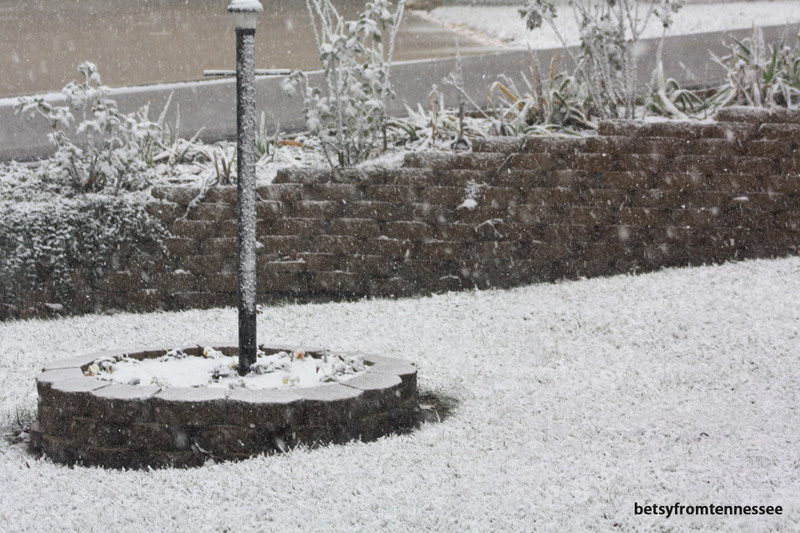 It came down pretty heavy for a while and coated the bare branches of the trees in our yard in a layer of white. 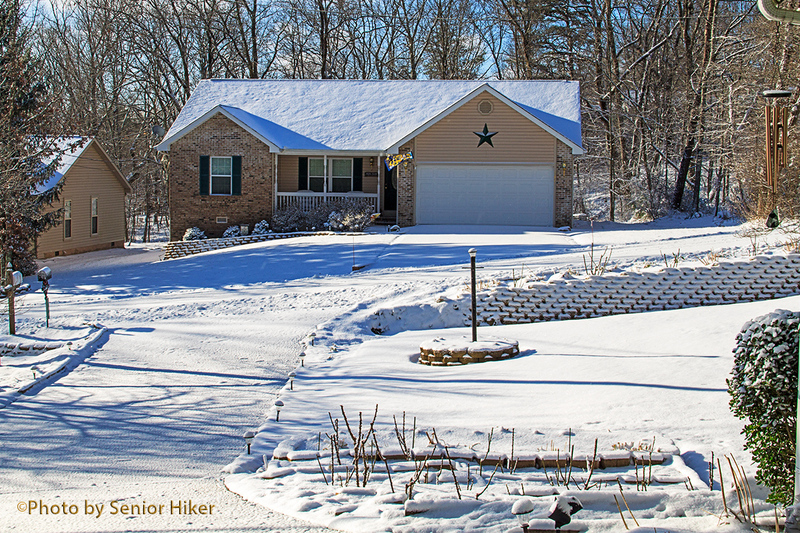 Snow-covered holly bush in front of our house, Fairlfied Glade, Tennessee. December 7, 2011. 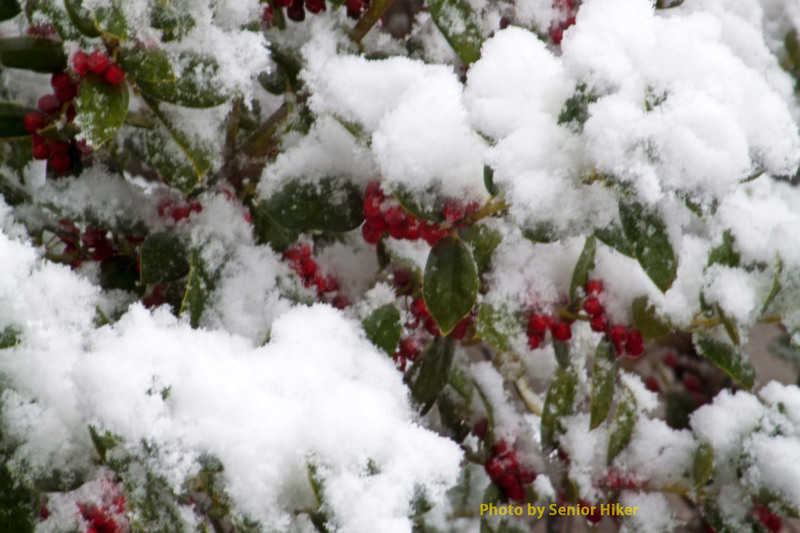 We still have a few more days before Christmas, and we may not have a white Christmas, but the berries on the holly in front of our house looked very festive under all the snow. I will admit that it was a pretty snow, and I’m glad Betsy’s happy. Now that she’s had her snow, I’m ready for Spring. Hoarfrost on Mount Magazine, Arkansas. February 23, 2010. This picture was taken about two weeks ago on Mount Magazine in Arkansas. 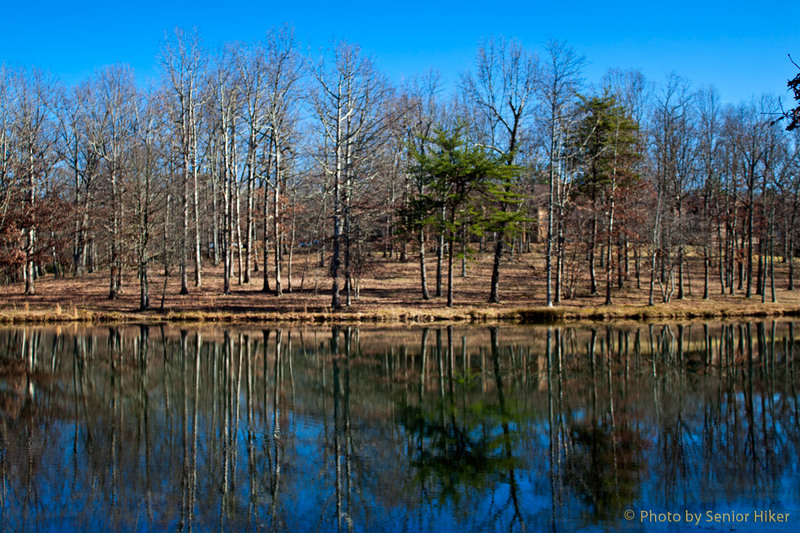 This is another of our favorite hiking places in Arkansas. Of course the fact that the lodge in the state park has an excellent restaurant with a terrific view doesn’t hurt either. The day we were there was cold — just about perfect for visiting waterfalls and hiking. But as we got higher up the mountain (Mount Magazine is the highest point in Arkansas) the temperature kept dropping. 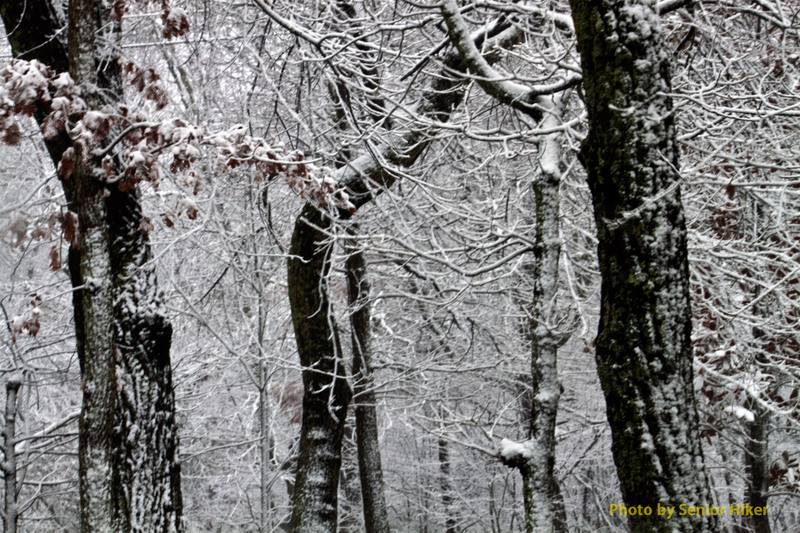 When we got to the loop road at the top of the mountain we began to notice hoar frost in some of the trees. Each time the road climb a few feet, more of the trees supported a coat of hoar frost. When we came to an overlook we stopped to get some pictures. 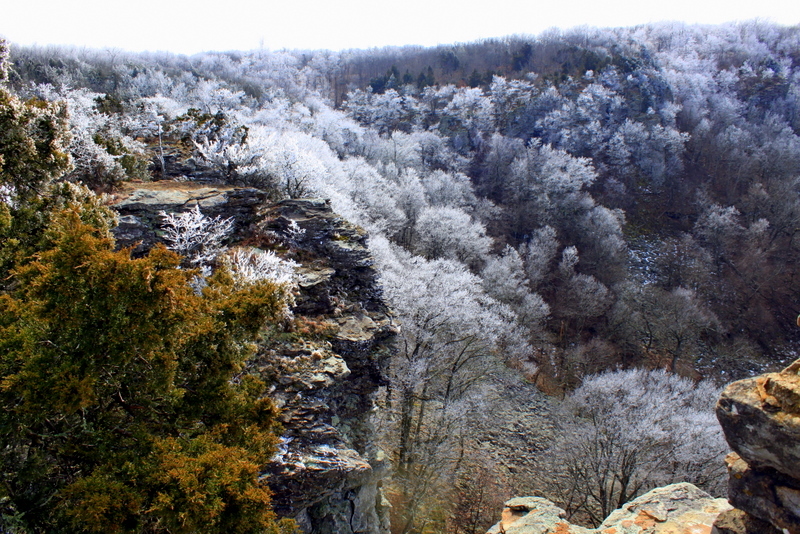 The morning was cloudy, but the trees covered with hoar frost nestled among the bluffs and rocks of the mountain made a very beautiful scene. I’m grateful for the beauty that can be found at any time in our wonderful world.